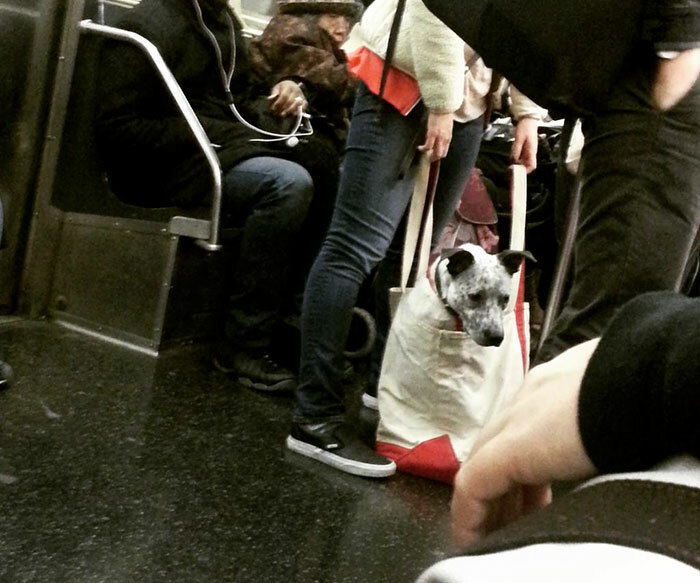 The rules are strict on the New York subway when it comes to clear when it comes to carrying animals. 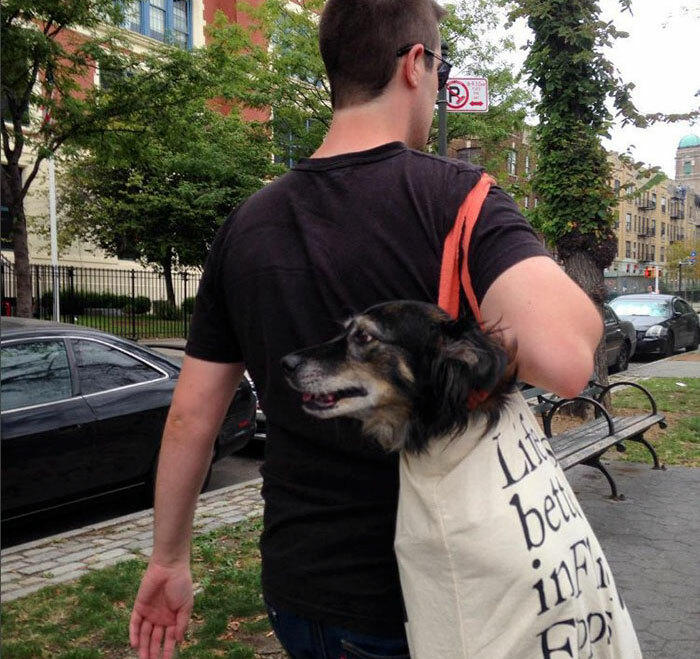 “No person may bring any animal on or into any conveyance or facility unless enclosed in a container.” But what the rules don’t say is anything about the size of the animal. 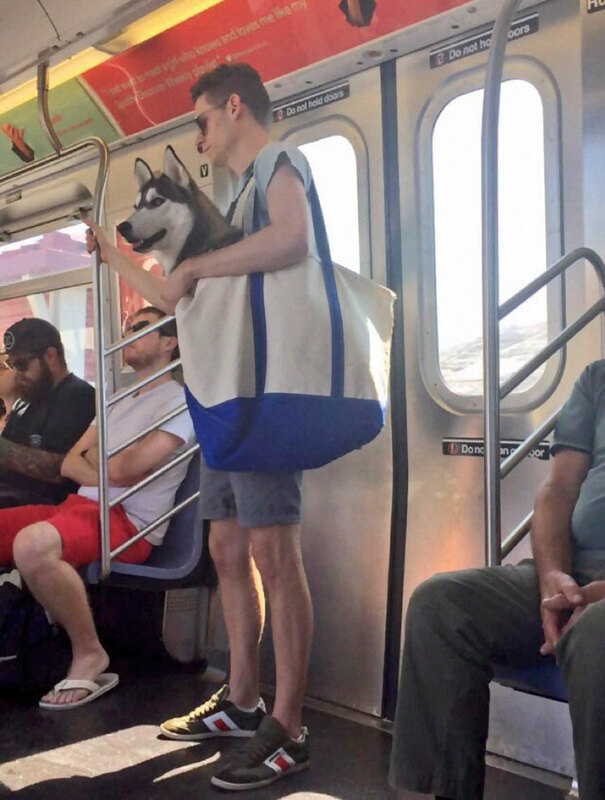 This guy and his husky were recently captured riding the subway . 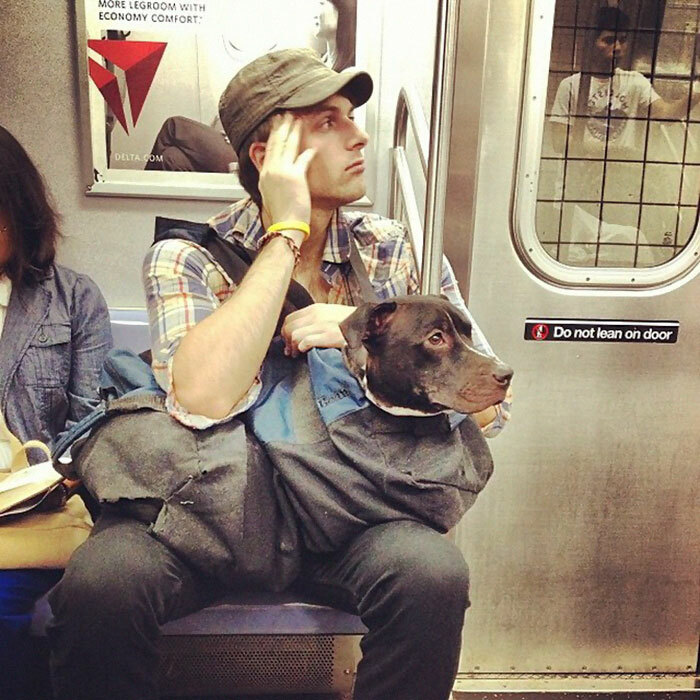 It’s the not-so-covert nature of the operation and the casual pose that makes this photo so great!